Take two characters, put them alone in the largest space imaginable and see what happens when in peril. What does happen is one of my favourite cinema experiences ever. 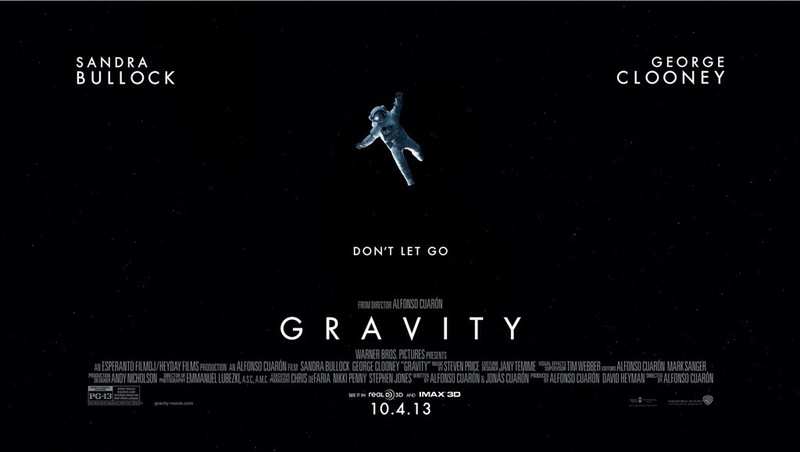 Gravity is the story of Ryan Stone (Sandra Bullock) and Matt Kowalski (George Clooney), two astronauts making essential repairs to the Hubble Space Telescope. Kowalski is a seasoned veteran of space travel. He has plenty of stories to tell, he knows how things should be done. Stone has had minimal training and just enough to get by to make the necessary repairs. She’s the technical lead on things. What follows is pure cinematographic perfection. The finest 3D ever to grace cinema screens takes you well into the journey and the sheer hell that the main characters go through. And now a warning…for anyone who suffers motion sickness…be warned…there’s a lot of spinning and a lot of disorientation…this is space after all. Some of you may feel the effects of it. But those of you who don’t, just strap in and enjoy the ride. Everything is stunning. The visuals are absolutely amazing. The sound department also do a fantastic job with the way sound carries (basically it doesn’t unless someone’s touching it then they would hear it). And Bullock and Clooney pull off a brilliant performance. Bullock in particular takes everything to a whole new level. You sympathise with her, you care for her and her backstory and you find yourself rooting for her. Clooney uses his dry wit to great effect too. If you were in two minds whether or not to go see this on the big screen, let me out your minds at ease…you HAVE to see this at the cinema. Simple as that. And go see it in 3D too! This entry was posted in 2013, 365, Movies and tagged bullock, Cineworld, cineworld wakefield, clooney, george, george clooney, gravity, gravity 2013, gravity movie, hubble space telescope, i check movies, icheckmovies, icheckmovies.com, ISS, sandra, sandra bullock, sandra bullok gravity, space. Bookmark the permalink.